"Meghan Daum is not an eccentric exhibitionist or a self-indulgent memiorist. Her world is suburban New Jersey girlhood, Vassar, publishing, and the disillusionment that results when the reality of one's life falls short of expectations. Daum approaches the first lesson of adulthood—that the prosaic will intrude on the fantastic every time—without ever dissolving into cynicism . . . Undaunted, she chips away at the messy surfaces of life, desperate to find even a nub of authenticity beneath." "Essay lovers take heart. There's a new voice in the fray, and it belongs to a talented young writer. In this collection of on-target analyses of American culture, Daum offers the disapproval of youth, leavened with pithy humor and harsh self-appraisal . . . An edgy read." "An empathic reporter and a provocative autobiographer . . . I finished it in a single afternoon, mesmerized and spluttering." "Caustic and amusing . . . Sublime musings on modern life." "[Daum writes] bravely and with heart . . . Hilarious, lyrical . . ."
"A provocative and refreshing new voice." "Full of honesty, insight, and wicked wit . . . A wonderful debut . . . My Misspent Youth marks the arrival of a brave new writer." "Smart, assured, and unpredictable . . . Never less than original in her observations, never less than honest in her self-examinations . . . A brave writer." "A Joan Didion for the new millennium, Meghan Daum brings grace, wit, and insight to contemporary life." "A voice that is fresh and wickedly funny, bracing in its honesty." "Meghan Daum has the true essayist's gift: she will say what no one else is willing to say (about being a shiksa, about leaving New York, about being unable to grieve), and through her eloquent and vivid candor she embodies for the reader nothing less than what it feels like to be alive in America right now." 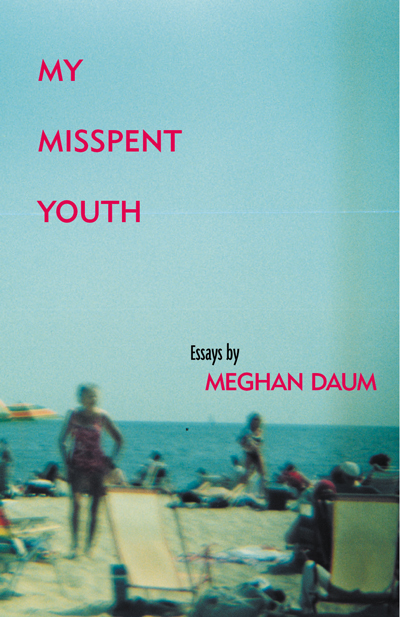 "Meghan Daum articulates the only secret left in the culture: discreet but powerful fantasies of romance, elegance, and ease that survive in our uncomfortable world of striving. These essays are very smart and very witty and just heartbreaking enough to be deeply pleasurable." "For several years now, I've kept copies of some of these essays in a manila folder by my desk. When friends or colleagues ask if I know of any especially interesting new writers, I pull out the folder and head for the photocopier. Meghan Daum's essay "Variations on Grief" is one of the most stunningly honest things I've ever read. And throughout this book, there are a surprising number of moments when your jaw just drops in amazement at what she's saying. Even when she's being funny, her writing has a clarity and intensity that just makes you feel awake." 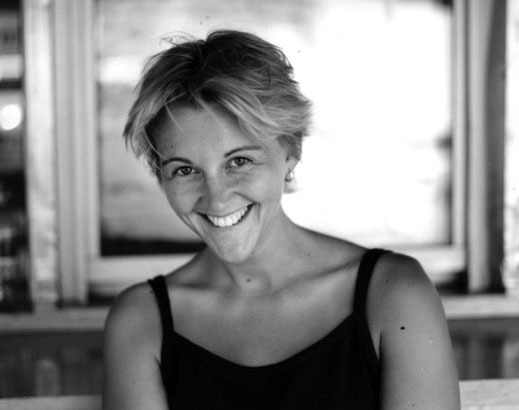 An essayist in the tradition of Joan Didion, Meghan Daum is one of the most celebrated nonfiction writers of her generation, widely recognized for her fresh, provocative approach with which she unearths the hidden fault lines in the American landscape. From her well-remembered New Yorker essays about the financial demands of big city ambition and the ethereal, strangely old-fashioned allure of cyber-relationships to her dazzlingly hilarious riff in Harper's about musical passions that give way to middle-brow paraphernalia, Daum delves into the center of things while closely examining the detritus that spills out along the way. She speaks to questions at the root of the contemporary experience, from the search for authenticity and interpersonal connection in a society defined by consumerism and media; to the disenchantment of working in a "glamour profession"; to the catastrophic effects of living among New York City's terminal hipsters. With precision and well-balanced irony, Daum implicates herself as readily as she does the targets that fascinate and horrify her. In a review of The KGB Bar Reader, in which Daphne Merkin singled out Daum's essay about the inability to mourn a friend's death, Merkin wrote; "It's brutally quick, the way this happens, this falling in love with a writer's style. Daum's story hooked me by the second line. Hmm, I thought, this is a writer worth suspending my routines for."